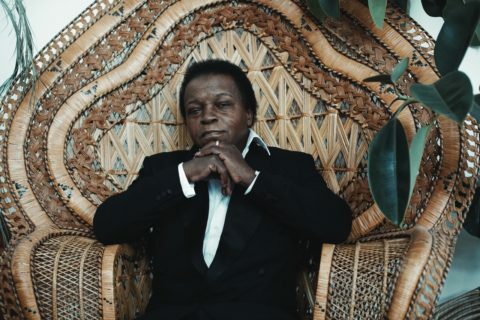 Soul music pours out of Lee Fields, as free and unstinting as God’s love. It has ever since the 1960s, when he was a teenager in North Carolina sweating it out on juke joint stages, crumpled dollars hailing at his feet. It continues now that the living legend is in his late sixties, ushering in the most successful and fruitful period of his career. Like any living legend worth their salt, Fields has suffered despair, obscurity, defeat. Although he now tours stages around the world, and although he helped fellow soul legends like Sharon Jones (who was once Fields’ backup singer) and Charles Bradley (whom Fields took on his first tour) get their first break, he did not always have this position. There were years—they were known as “the 1980s”—when Fields nearly gave up. His success these days, then has a bittersweet tinge: His dear friends Bradley and Jones have both passed, leaving Fields to outlive them and carry their legacy forth. With all these years, and all this life, comes a sort of divine wisdom, and Fields has it in spades. “I am a sinner, just like everybody else,” he says gravely. He is no “holier-than-thou guy,” he adds. He just believes in people’s ability to love and be loved, and he understands that music is the divine bridge to these places. “We should be conscious at all times of what is good and what is bad,” he tells me. “Once we lose that consciousness, we are deceived, we are tricked.” This worldview, equally stern and loving, rocksteady and welcoming, finds its fullest expression yet on It Rains Love, his latest and possibly his most earnest record ever. It Rains Love is music of endless love, of endless hurt, of reverberating kindness and wisdom, of decades and lifetimes’ worth of pain alchemized into kindness. It is the warmth of a hand extended, grasping yours. His lyrics glow with an unearthly purity he has never allowed himself to touch before. He has never been a dictator, a la James Brown, but his longtime band the Expressions gave him free reign to do whatever he wanted. He ended up putting more of himself—his eloquent, peculiar self—into his music than he used to dare. As he puts it on the titles of the new album’s last two songs, “God Is Real” and “Love Is The Answer.” Taken together, they could be everything Fields has been trying to say ever since his recording career began. It is nothing less than his take on the human condition. The love of God, in whatever form the divine mystery might take, radiates outward from the humid and joyfully relaxed arrangements of The Expressions. For Lee Fields, born Elmer, Jesus is Buddha is the Torah is the Bible is the love we feel for our families. “I am of Christian faith, but I believe God is all in all,” he says. “I believe any religion that tells you to do the right thing.” The music ranges just as wide, without ever losing its compass in soul: The deep echoes on the drums of on “God Is Real” hint at dub.